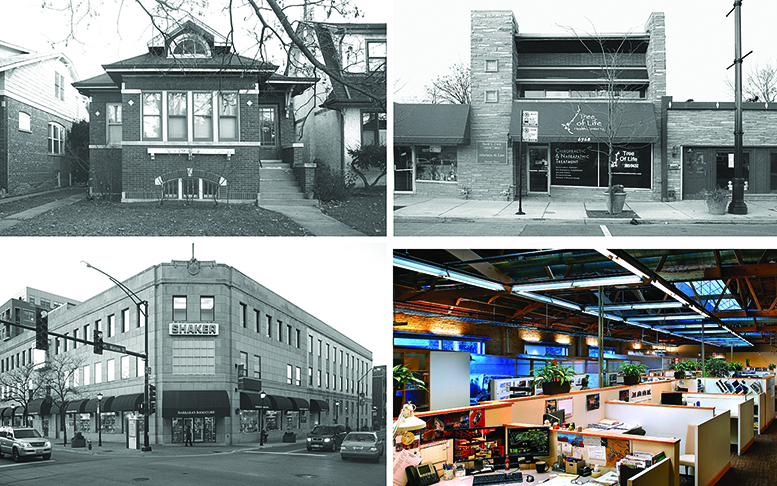 Twenty-five years ago in February, Walter, Joe, Kathy and I started Aria Group Architects, Inc. in the front room of our home in Oak Park, IL. We were only in that office for four months before we moved into a retired architect’s office on North Avenue in Chicago. That year (1989) the economy was in a recession but we were busy starting and growing our firm. Thanks to Rich Melman (Lettuce Entertain You Enterprises), Bob Vick (Bub City), Howard Katz (Tucci Milan), Joe Duellman (McCormick Hotel), Rich Borst (Borst Office Building), Lulu Yen, (Signature Events), and others, we made it through our first year. 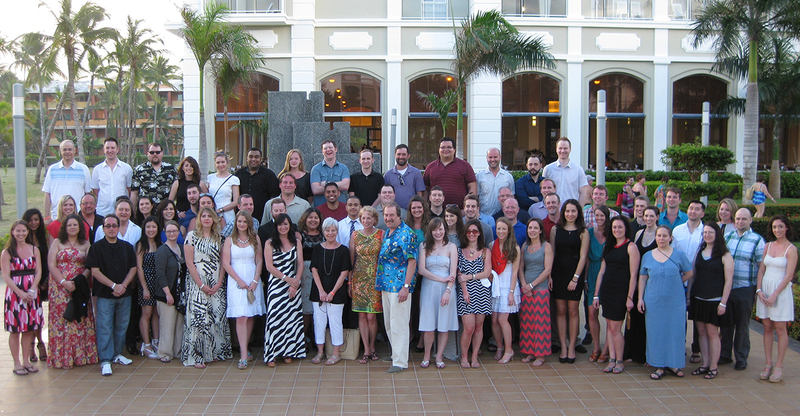 Aria Group Architects, Inc. 25th Anniversary staff trip to Punta Cana, Dominican Republic. The original partners have been joined by Tom and Frank as Principals and Dan, Dave, Chris D., Pam and Chris H. as Associates. Our firm has made a difference in the lives of our staff, clients, community and particularly the users of our buildings, by balancing the people, design, technology and business aspects of architecture. Over the years we have grown to an energetic, creative staff of 85 and completed over 2,000 projects. We have designed great buildings and interiors in 42 states, Europe, the Middle East, Mexico, South America and Canada. We have long-standing relationships with some of the leaders in the hospitality industry including Lettuce Entertain You Enterprises (over 85 projects); P.F. Chang’s China Bistro, (over 130 projects), California Pizza Kitchen (over 120 projects). Every year we continue to pick up new clients and projects, both large and small, and look forward to another 25 years of serving the best clients in the industry. Hilton, TopGolf, Fieldings, Nando’s, Del Frisco’s, Dave and Buster’s and many more clients put their trust in us to deliver the best designs for their hospitality projects. We are also grateful for the partnerships we have with consultants and contractors, without whom none of our great designs would be built. It is with our sincere thanks to everyone who makes what we do possible, that we celebrate our 25th anniversary as a company. We continue to find better ways to develop the talents of our team members and create designs that exceed expectations while providing outstanding personal service. We look forward to the next quarter century and its challenges, triumphs and rewards.